RECENT droughts and bushfires have made us far more conscious of how a warming climate can affect our health, especially in regional Australia. Far less appreciated, however, are the more direct impacts of heat. The vast preponderance of heat-related deaths and illness will occur not in rural but in urban areas, in part because that is where nearly 90% of us live. This is known as the urban heat island effect and can lead to city temperatures several degrees higher during the day and up to 10 degrees higher at night. Trees, vegetation and green spaces have natural cooling effects due to transpiration and evaporation and having a high reflectivity or albedo. In contrast, concrete and bitumen have the reverse effect, absorbing more direct heat and effectively storing and reradiating that heat at night. Taller buildings reduce airflows and trap heat. Heatwaves are responsible for more deaths each year than all other natural disasters combined. During the 2009 Victorian bushfires, when temperatures exceeded 40°C for four days, there were 374 excess deaths. Comparable spikes in mortality are well documented in response to other heatwaves in Australia and other parts of the world. But increases in morbidity and mortality are not just limited to extreme heat events. In a five-year Melbourne study,3 hospital admissions for heart attacks increased by about 10% on days where temperatures exceeded 30°C, and by a staggering 40% during periods where the three-day average temperature exceeded just 27°C. Even relatively modest elevation of daytime and nighttime temperatures results in measurable ill health. This has been confirmed in studies in all of our capital cities, with increasing emergency and mental health presentations, cardiac events and deaths in response to higher ambient temperatures. Particularly vulnerable are the elderly, children, low income earners, the socially isolated and those with existing chronic diseases. The thresholds for these effects are surprising low. One study(2) found the average daily mortality of over-65s increased by more than 15% when daily maxima reached just 30°C and by 20% when night time minima topped 24°C. In a five-year Melbourne study,(3) hospital admissions for heart attacks increased by about 10% on days where temperatures exceeded 30°C, and by a staggering 40% during periods where the three-day average temperature exceeded just 27°C. 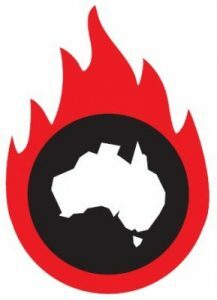 There are about 6000 temperature-related deaths in Australia each year. This number is projected to rise to 7900 by 2050 and to 17,200 by 2100 due to climatic and demographic changes. These numbers include both hot and cold temperature-related deaths, and it should be noted that heat-related deaths are expected to increasingly outpace a reduction in cold-related deaths. Adaptation of urban areas is going to be a great challenge, but it brings great opportunity too. Many of the planning and design measures that attenuate urban heat can make our cities healthier and more liveable in other ways. Reintroducing and expanding tree canopies and reclaiming poorly utilised land for green spaces have other significant health and social benefits, such as improving air quality by absorbing air pollutants. They have been shown to improve local residents’ mental health, reduce crime rates and facilitate more recreational opportunities. Many cities overseas are doing this. There are a number of programs to incentivise white (reflective) roofs and green roofs and walls to improve temperatures and air quality. There are many other such areas where environmental factors are affecting our health. Doctors for the Environment Australia will continue to encourage our politicians to address these. 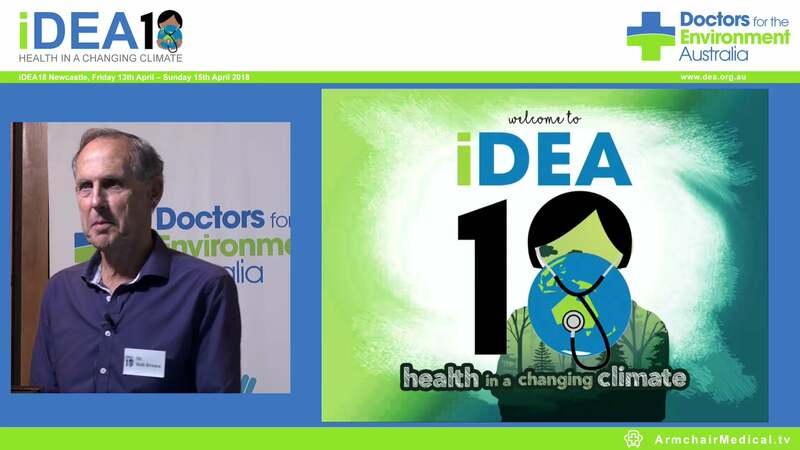 Dr George Crisp is a GP and the WA chairman of Doctors for the Environment Australia.